The transportation industry has a broad span, but sometimes it becomes challenging to locate service that you may need in an appropriate region in Florida. Several different organizations offer ground transportation from one city to another city from like Orlando to Fort Myers. But Go Florida Shuttle most trustworthy and reputable ground transportation services from one city to another city within Florida. You will find out about the shuttle transportation service on the article from Orlando to Fort Myers Florida. A trip from Orlando to Fort Myers could be exciting because we had to go through some beautiful cities to reach our destination. Florida is a very well know tourist destination which gives all kinds of entertainment places to explore. Orlando is the most selected tourist destination because of its theme parks and hotels. Brevard County allows many unique and ideal sites for outdoor fun and family vacations. There are multiple delightful places here where you can go and enjoy with your entire family. Tampa, St. Petersburg, and Bradenton offer several tourist targets. You can rest and enjoy the lovely and tranquil beaches of this area at any time you want. Sarasota and Venice are some of the major cities in Florida where visitors and tourists prefer to go during their holiday time. Then there is Port Charlotte which one of the most famous guest destinations and then finally you go to Fort Myers. Sometimes it is challenging to discover some ground transportation that can bring you to all of these cities whenever you need to go. But there is a Go Florida Shuttle that you can reserve at any step of your vacation. For family gatherings or individuals, Go Florida Shuttle is safe transportation, which can take you anywhere you require at any time you need. Go Florida Shuttle is such a best transportation company that could take you from Orlando to Fort Myers at most affordable and reasonable rates at any time you want. When we are talking about traveling from Orlando to Fort Myers through the most cost-effective transportation, the Go Florida Shuttle service is right of all. 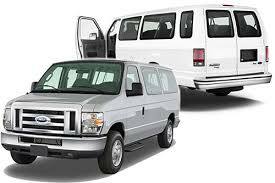 By using this shuttle service, you will go in a large up to 14 passenger van. You have to go on with other passengers. In this type of transportation, you have an opportunity to have affordable and lowered price for the traveling. And of course, this is the best alternative to travel inexpensively from Orlando to Fort Myers by using Go Florida Shuttle transportation service.